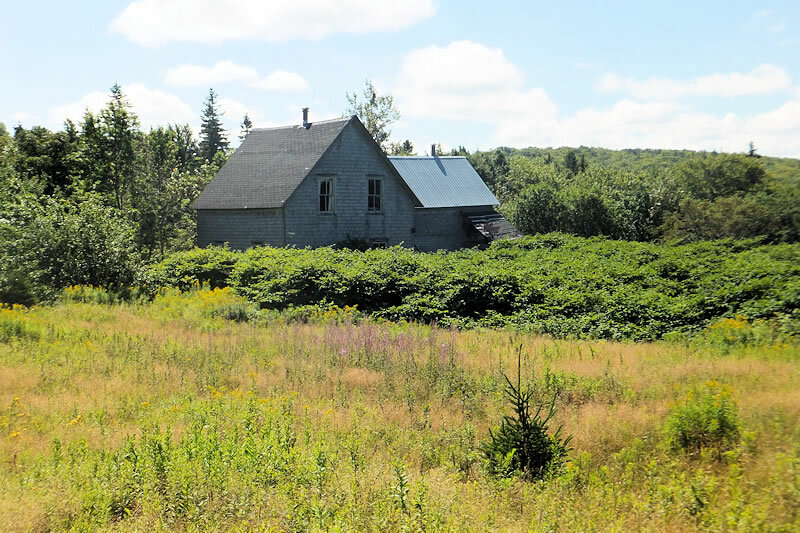 This old house is worth saving but you need to be a DIY person and OK with living off grid. The century house and its 111 acres were once a prosperous farming homestead. Male descendants of the original settlers went off to war in the last century and returned home to pursue urban careers. The family elders sold off the land but kept the house as a summer home for their daughter. The current owner bought it over 40 years ago and used it seasonally up through 2016. Through the years, she peeled off 10 layers of wallpaper and oiled the beautiful old floorboards along with other renovations. The post and beam home has high ceilings and spacious rooms. The Maple flooring (still level) and very sturdy stair railing were shipped in from Boston. The ground floor layout has many open plan features including a large foyer area. The acreage has approximately 25 cleared acres used most recently to grow blueberries. Apple trees of many varieties can be found all over the rolling land along with forested sections covered by softwoods and some hardwoods. Remnants of a large vegetable garden near the house can be still be seen as well as the concrete foundation of a barn. 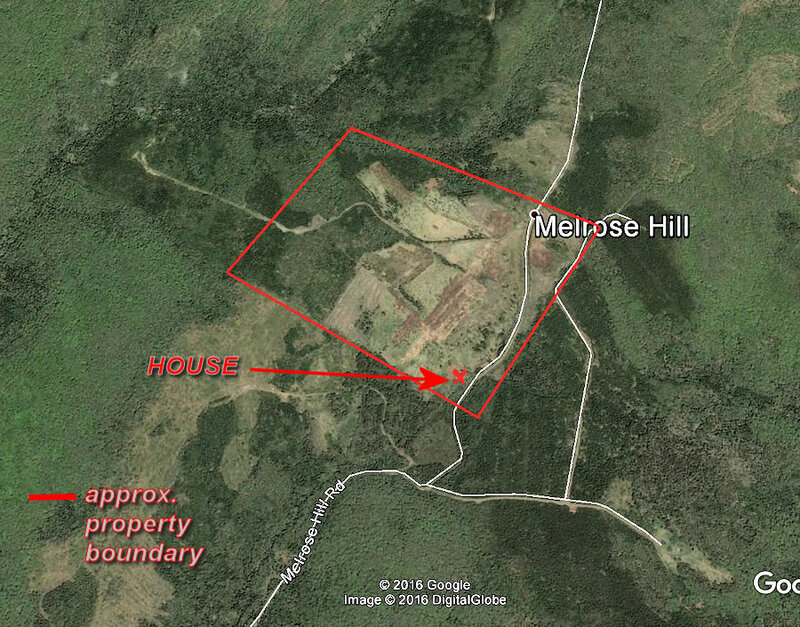 Anyone choosing to live in this location known as Melrose Hill will have only wildlife for neighbors, will see the night sky devoid of artificial light and never be bothered by road noise. Civilization, however, is not far away. 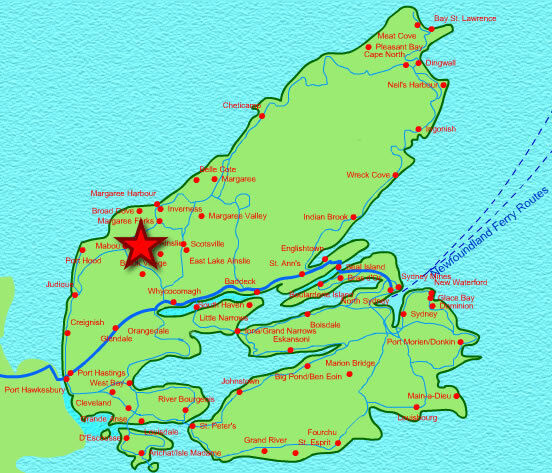 Shopping in Mabou and incredible beaches are just 5 and 10 miles distant respectively. 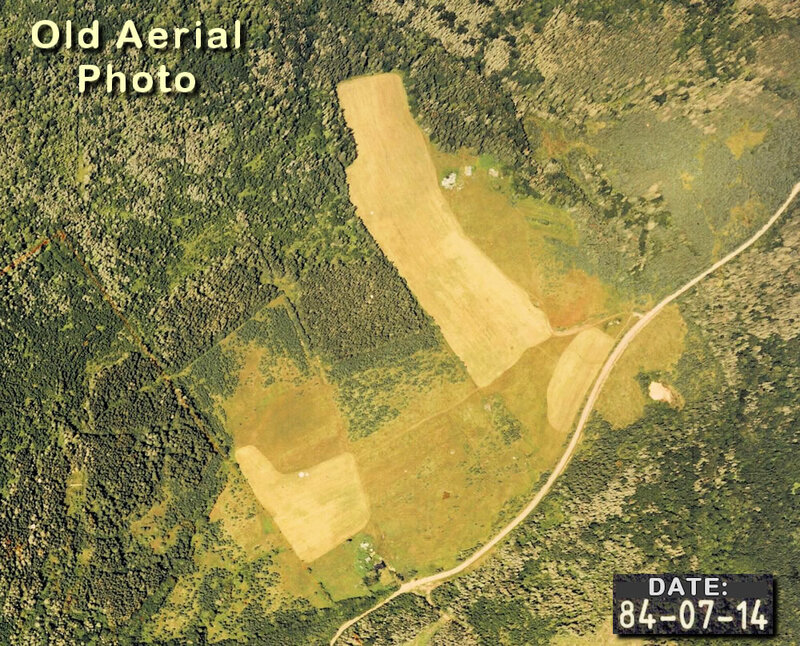 Any buyer interested in pursuing agricultural use of the land may qualify for favorable provincial financing upon purchase. More adjacent land available! The heavy beams in the basement have recently been inspected. They are in excellent shape except for one small section located under one of the windows in the great room. The rotten area needs replaced. The foundation is cement floor over bedrock, a fact which has helped the floors in the old house stay level for over 100 years. This statement pertains to the 2 storey part of the house; the foundation under the rest of the home might be the same but is not known. The siding on the non-2 storey part of the house needs replaced. Due to the home being unoccupied for most of the year, there is a problem with mice in the house. The walls in the basement are rock and there are two places where it needs repair. There was a minor roof leak which was repaired before it caused major damage to the structure. Three of the four slopes of the roof got new metal roofing before winter arrived. There is pink fiberglass insulation in both the exterior walls and the attic but none in the roof. There are two wood burning stoves; one is a Vermont and there are 2 woodstove chimneys installed. Both stoves are currently non-functional. The Vermont needs new fire brick installed and needs to be hooked up to the chimney as does the other. The liner and condition of the chimneys is unknown but they look relatively good outside. No qualified person has ever done any work on them. There is a 4 year old propane space heater, still in the box, on the premises. There has never been power in the house, hence there is no wiring anywhere. There is virtually no plumbing system. Water was pumped out of a well located just outside the house and brought inside in buckets for use. There are two working drains in the house, however, one in the kitchen and one in the upstairs bathroom. The well is old but still produces water that is clear and has no odor. The water has never been tested, however. The outside pump for the well is quite old and probably needs replaced if someone wanted to maintain outside access to the water. There is a very vigorous spring (and a stream) near the house so the well is probably dug not drilled, but no one knows for sure. The close proximity of the water was probably the factor that decided the location of the house since indoor plumbing in that era was unlikely. The septic tank collapsed and is non-functional so there is no disposal. Porta potties have been used for the short stays in recent years. New owner would need to install a septic tank and system along with the plumbing. The village of Mabou has a well stocked grocery store and several restaurants/bars. One is the Red Shoe Pub, famous for offering Celtic music entertainment, including fiddle music for dancing. Cape Breton's first families of Celtic music and tradition have all played at the Red Shoe,. In fact, the pub is owned by members of the Rankin family. 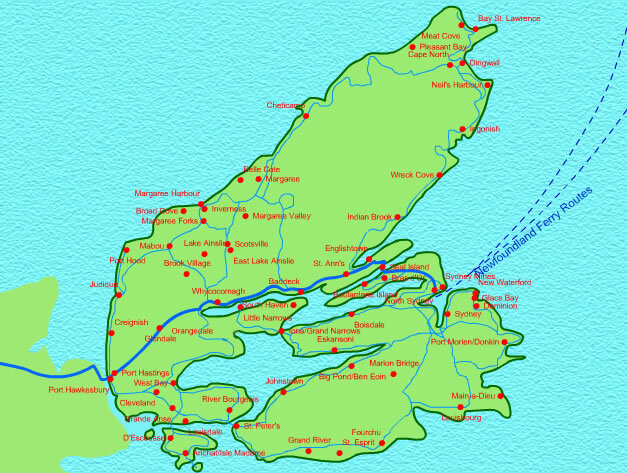 Major shopping and amenities are approximately 30 miles away in the town of Port Hawkesbury. Traces the settlement of East Lake Ainslie from its beginning in 1820. Lake Ainslie is in Inverness County and the site gives good coverage of the wider area in which this property is located. Cap site with links and info about groups and various organizations based in the Lake Ainslie community. A "Parks Canada" site - this page covers the attractions of the park and offers a few photos. Open from mid-June until mid October the park has picnic areas, lake access, a boat launch, and a 2.4 km (1.5 mi.) hiking trail. A photo of the beach. Small summary of the location.